AZEVAP, Inc. is a service disabled veteran owned small business founded in 2009 that manufactures a suite of patented and copyrighted products and offers technical support with proprietary tools to support commercial and industrial facility organizations implement and/or upgrade to integrated high performance HVAC systems that produce and maintain a cost effective and productive work floor environment even under monsoon conditions. AZEVAP Inc. is located in Phoenix, Arizona and is owned and managed by a seasoned group of Professional Engineers that have reviewed the history of evaporative cooling and studied numerous industrial installations to identify the fundamental problems limiting performance and creating the headaches for owners and operators from a component and integrated system perspective. 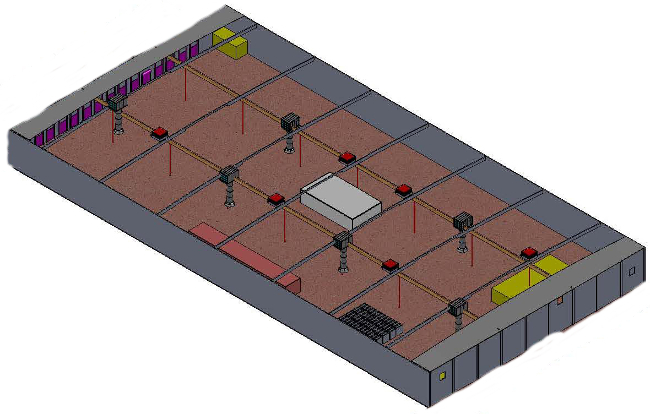 They combined a number of business, engineering, and manufacturing disciplines to solve these problems at fundamental physics and engineering levels leading to a suite of patented and copyrighted products and controls that have been implemented both individually and as an integrated set to deliver a dramatically improved displacement cooled work floor environment.